With the dismantling of the main pro-democracy protest camp in Hong Kong on Thursday, police made dozens of arrests. Most of them were routine, almost symbolic, as high-profile public figures like media mogul Jimmy Lai were escorted, unhandcuffed, to waiting police vehicles as the media looked on. But before and during those encounters, the police also carried out the arrest of four young men, some at their homes, who were accused of engaging in “unlawful assembly” and encouraging others to do so. This is the first time that Hong Kong police have tracked down and taken into custody democracy activists involved in the recent protests, which shut down key streets in the city for the last 10 weeks. Some groups are already calling the arrests a form of political retaliation—something that had been feared among activists since the beginning. 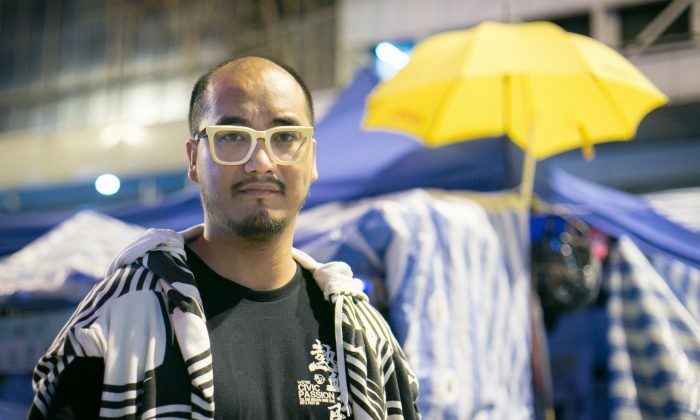 “After the clearing of Admiralty and the failure of the Umbrella Revolution, police couldn’t wait to arrest many activists on charges of ‘illegal assembly,’ opening up a chapter of revenge,” said Passion Times, a publication affiliated with the Civic Passion political party, which promotes a strong Hong Kong local identity. It used the Chinese idiom “settling accounts after autumn” to describe the move—a common term to describe biding time for revenge. Wong Yeung-tat, the leader of Civic Passion, was among those arrested, the publication said. Dorothy Leung, a duty officer with the Hong Kong Police, confirmed that a man with the surname of Wong, aged 35, was arrested at around 1 p.m. on Dec. 11 in Sham Shui Po, “for taking part in and organizing unlawful assembly.” Wong Yeung-tat is 35. Three others were also arrested: A 26-year-old man also surnamed Wong, at 11 p.m. on Dec. 10, in Shatin, a 28-year-old Mr. So, and a 26-year-old Mr. Cheng, Leung said.